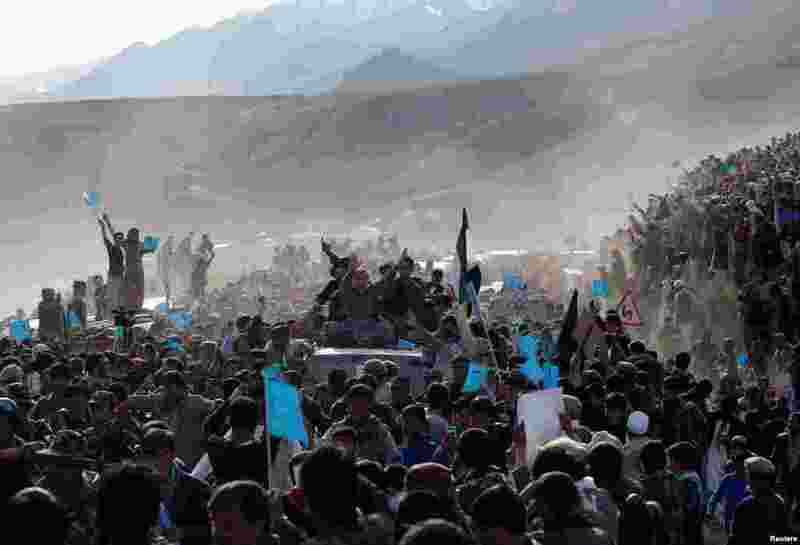 1 Presidential candidate Abdullah Abdullah, sitting atop a vehicle, arrives for an election campaign in Panjshir province, March 31, 2014. 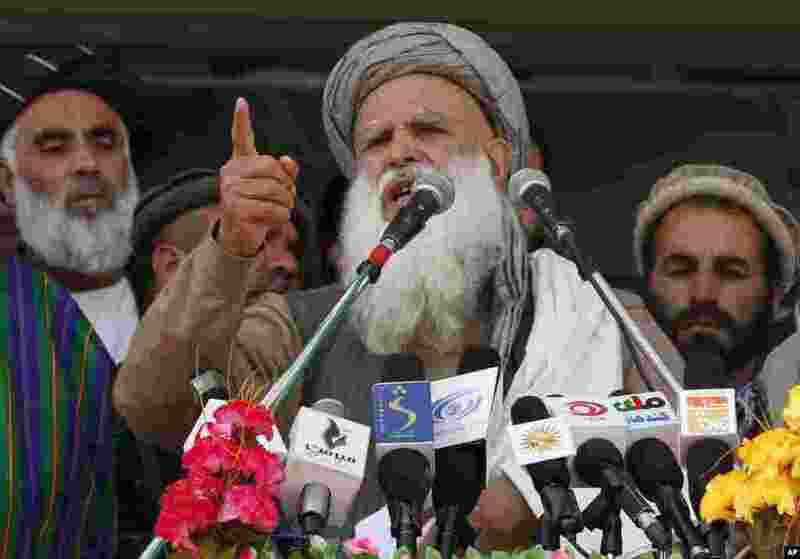 2 Presidential candidate Abdul Rasoul Sayyaf gestures as he talks to supporters at an election campaign rally in Kandahar, March 31, 2014. 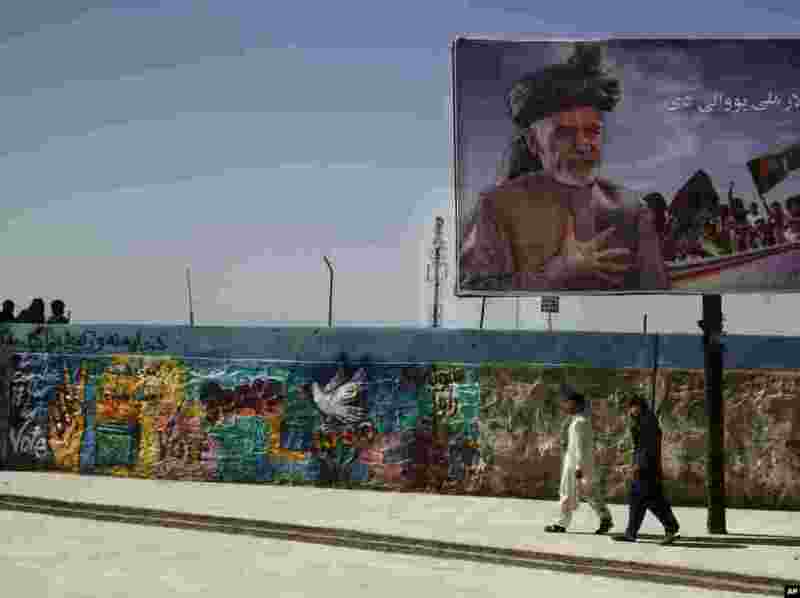 3 Afghan men pass an election poster showing presidential candidate Ashraf Ghani Ahmadza in the center of Kandahar, March 31, 2014. 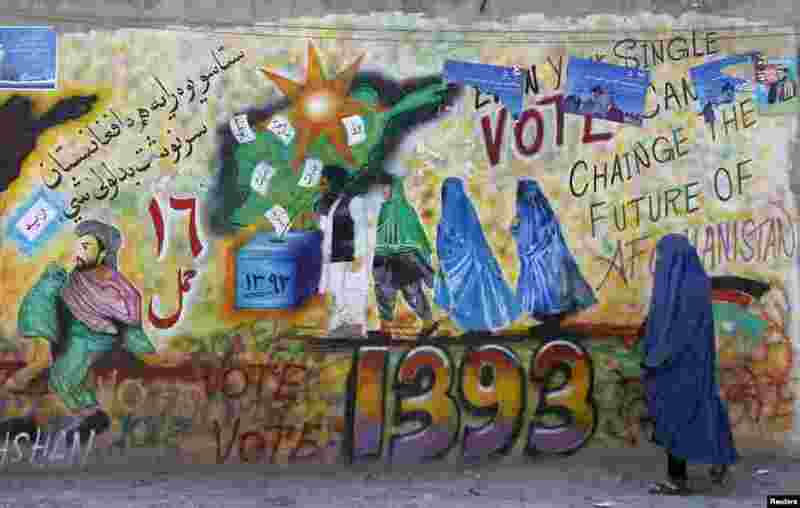 4 A woman walks past a wall with graffiti encouraging the public to vote in Kandahar province, Afghanistan, March 30, 2014.